I really can't believe I didn't think of this last week. If you've been coming by for Tune in Tuesday, or if you've read my blog regularly, you'll know I'm a U2 fanatic and will use pretty much any excuse to talk about my favorite band. So how did I not think of Rattle and Hum last week for the first installment of Soundtrack Edition? Talk about falling down on the job. 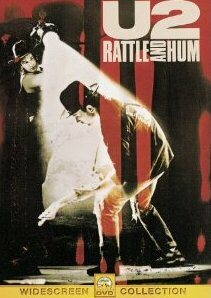 Anyway, for those of you who don't know, Rattle and Hum is a documentary that U2 did in the late 80s. 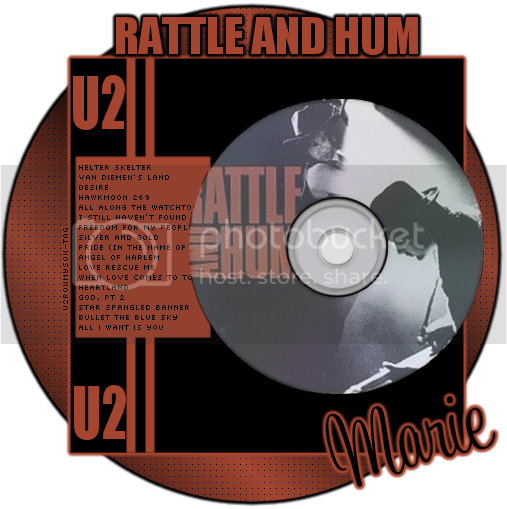 Rattle and Hum was the album they released between Joshua Tree and Achtung Baby, and the band were really getting into American music, experimenting with blues, R&B and a lot of different sounds. This movie shows interviews with the band members, clips from live shows, and great behind-the-scenes stuff that any true fan would probably love to see. I love this song! There are some great songs on this movie, I'm going to have to check it out. BTW, I agree with you Bono is pretty in this! Why have I never seen this documentary?! Must correct this STAT! This song reminds me of Ross and Rachel from Friends, lol. Love it! Great pick! I had no idea there was a documentary about U2. I learn something new every day. Thanks for sharing!